Play Mr Green’s exclusive slot Hanzo’s Dojo for a share of €5,000. Time to sharpen your swords and prepare for battle. To the Dojo players! Get your hands on huge amounts of cash and treat yourself to super fun every time you log in to Mr Green and play Honzo’s Dojo. The game is the latest at Mr Green and you guessed it comes with quite the thrill. Jump on this 5-reel and 25-pay line slot and head to the magical Land of the Rising Sun. The slot was created based on Hattori Hanzo, a famous Japanese sensei. This is the ultimate battle training; will you be the lucky winner at Mr Green? Look forward to an exciting time on the reels of this game. Play with symbols including traditional card numbers with bonsai trees, wind storms, Tsuru cranes (birds) and waves. You will also find great warriors; the samurai, a fan fighter and a sumo. The three must fight to become the greatest fighter. Land or more wild symbols lined up in a sequence from the left and win. The Hanzo symbol is the most valuable – land 5 on a payline and receive 9 (4x). At the topmost of the game is the Rooftop Slot. This mini slot above the reels will give you wilds that expand downwards. The Rooftop slot comes with 4 varying symbols: Hanzo, free spin symbols, expanding wilds and blank symbols. Land 4 Hanzo symbols and receive 3 Hanzo spins. 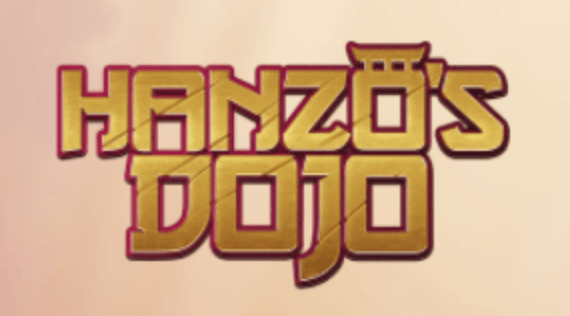 The Hanzo symbol also reveals a random standard symbol which transforms into a 3×3 symbol locked in the centre reels. You will only find the Hanzo symbols in the base game. Land 3 Expanding Wilds for 3 Hanzo Spins and a 3×3 wild symbol locked in the centre reels. All individual Expanding wilds that land, expand down into the reels and transform the whole reel into a wild. Note that Expanding wilds can substitute the Hanzo symbols in the Rooftop slot thus increasing your chances of winning. The above symbols also awards additional boosters. Land a combination 3+ Free Spin symbols and receive a Free Spin mode. Even better, the Free Symbols from the 5×3 reels and the Mini slot count. Every Rooftop Slot free spin symbols awards 1 Free Spin Feature + 1 additional Free Spin. This applies while triggering Free Spins and while playing in Free Spins. Land 3 Hanzo symbols or/and expanding wilds in the Rooftop for 3 Free Spins. Activate the Hanzo Spins with 3 expanding and the 3×3 symbol turns into a wild. All Hanzo Spins are played with a similar coin value and lines as the activating spin. • Win double ways – Lines pay from both left and right directions, Awarded once every Free Spin but lasts to the remaining rounds. • 3×3 symbol nudge – The centre 3×3 symbols moves up to 3 reel positions to increase your winnings. Only awarded in regular Free Spins. Yes, Hanzo’s Dojo is one slot with lots of special features. It is seldom to come across such a wide array of features and Free Spins. Don’t worry – you will find the features even more thrilling once you give it game a try and play.